In lieu of flowers memorial donations may be made to the Community Springs Mending Circle and left at the funeral home. Lois Allene (Steward) Arnold, age 79, passed away February 22, 2013, at Community Springs Healthcare Facility, El Dorado Springs, MO. She was born July 11, 1933, near Montevallo, MO, to Ernest and Velma (Hiestand) Steward. She attended Green Ridge grade school and graduated from El Dorado Springs high school in 1951. Lois married Dewey Dickson Arnold on August 16, 1952, at Bro. Granvil Budd’s residence near El Dorado Springs, MO. Four children were born to this union – Rebecca (Galen) Gazaway, Clayton (Charlotte) Arnold, Marlene (Stuart) Payne and Karen (Jack) Pate. 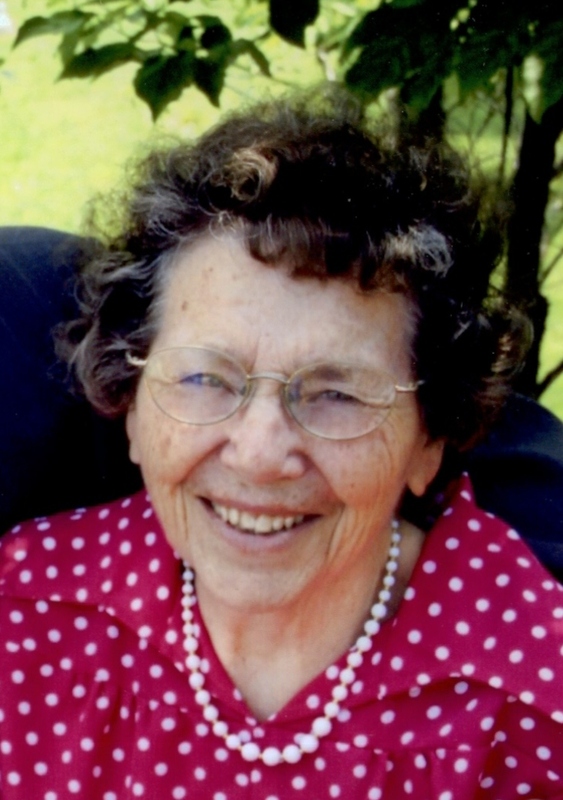 Lois spent all of her life in the El Dorado Springs area. She worked various jobs but was best known for her sewing abilities, mostly alterations and hand quilting. She was a 20 year 4-H Leader, volunteer mender at Community Springs Healthcare Facility, avid gardener and farm wife. She was a member of Glade Springs Missionary Baptist Church, having been saved at age 15 during a revival held by Bro. Ed Elliott. Preceding her in death were her parents Ernest and Velma Steward, a niece Susan Steward and a grandson Matthew Arnold. In addition to her husband and children she is survived by her two brothers: Eldon (Carolyn) Steward and Dwain (Donna) Steward; grandchildren: David (Stephanie) Arnold, Adam (Angela) Arnold, Amanda (Cliff) Lewton, Megan (Jeremiah) Jones and Blake (Cassandra) Gazaway; great-grandchildren: Tackett Arnold, Gideon Jones and Seth Lewton; step great-grandchildren: Gracie and Trooper Baker; sisters-in-laws: Ruth (Arnold) Barnard and Sherry (Arnold) Miller; brothers-in-law Alan (Arlene) Arnold and Herman (Sharon) Arnold; several nieces, nephews; and Hiestand and Steward cousins. Lois was a wonderful example of a loving wife and mother who will be truly missed by her family and friends. Visitation will be held Tuesday, February 26, 2013, from 6:00 – 7:00 PM. Funeral services will be at 2:00 PM on February 27, 2013. Services will be at the Bland-Hackleman Funeral Home with Bro. Mike Owens and Bro. Keith Irvin officiating. Burial is to follow at the El Dorado Springs City Cemetery under the direction of Bland-Hackleman Funeral Home. Pallbearers will be Clayton Arnold, David Arnold, Adam Arnold, Cliff Lewton, Blake Gazaway, Jeremiah Jones and Tackett Arnold.